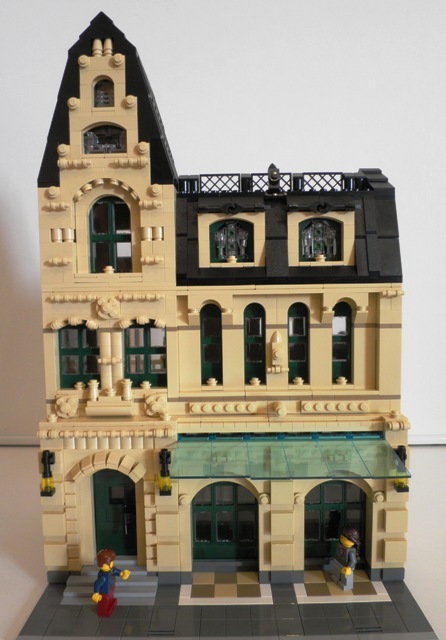 Brick Town Talk: Buy the Book - LEGO Town, Architecture, Building Tips, Inspiration Ideas, and more! Author Avenue - (BTT) Let's face the facts - owning a bookstore in this day and age is not the easiest of professions. Between the ever-growing number of e-reader supporters and the never-ending stream of people that just go in to read the magazines and leave without buying anything, it's not exactly the height of job security. Still, since the days of Gutenburg books have held a special place in society, and it's only fitting that they have a place to reside as special as this shop. Inside is as cluttered as any respectable store should be, handsome tomes stacked high yet always within reach. Wow, Great blog! Really beutiful buildings!